The SEO playing field certainly looks different today than it did ten years ago. With more competition, new strategies and revamped search engine algorithms, tactics and strategies are bound to change. Unfortunately, one thing that refuses to change with the times is bad SEO advice: the internet is chock full of it, and one wrong move can completely derail your broader SEO efforts. There are two primary types of bad advice when it comes to SEO: advice that claims to be positive but does nothing, and advice that claims to be positive but harms your efforts. Today, we’ll focus on a few of the biggest offenders in the former category to help you avoid wasting time on ineffective strategies. With so much competition now online in every niche, it can be hard to break through the noise in even the smallest of niches. Many small businesses begin pinging search engines with websites full of content in the hopes that they’ll be recognized and subsequently dominate within the niche. For truly small and local businesses, however, this may not be the best approach at the onset. While local SEO is valuable and does generate benefit, many small and local brands can generate just as much attention – in fact, even more – by using a combination of Facebook Ads, social media in general and email marketing techniques. Quality content is an absolute must in the world of SEO success, but it is not the end-all, be-all in terms of making the magic happen. Ultimately, quality content will be recognized and appreciated when seen by the right audiences, but that situation must first come into existence. When your content is organic, detailed and optimized for search engines, this creates the opportunity for success in SERPs. Many confuse the opportunity for success with the ingredients for success. Consider content creation to be a prerequisite in the fight for better rankings, but do not make the mistake of thinking it’ll generate massive audiences and SEO clout for you out of thin air. Ultimately, you have to build a solid fan base, community or audience alongside the content for real success. A variety of independent review websites online provide consumers and subscribers the ability to rate their experiences with various online businesses. Many brands pursuing an aggressive SEO strategy become fixated with this aspect of brand management, going so far as to buy fake reviews from others in order to pad their ratings and total comments. Ultimately, positive reviews can provide some benefit to websites, but it is merely one strategy in a world where you need to be focused on dozens. Rather than spending large sums of money on fake reviews or aggressively hounding your audience to leave legitimate ones, let the process occur more naturally. 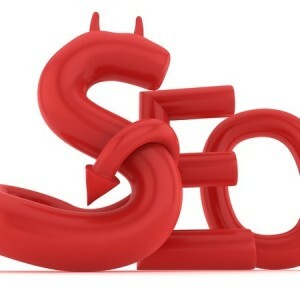 It’ll save you money and also time that can be spent pursuing more effective SEO tactics. Bad SEO advice comes in many forms. Some of it is merely outdated, while some is simply made-up. If you can avoid wasting time and energy on strategies that fail to pay big – or at all – you’ll be better equipped in the future to be pinging search engines with content and strategies that work.